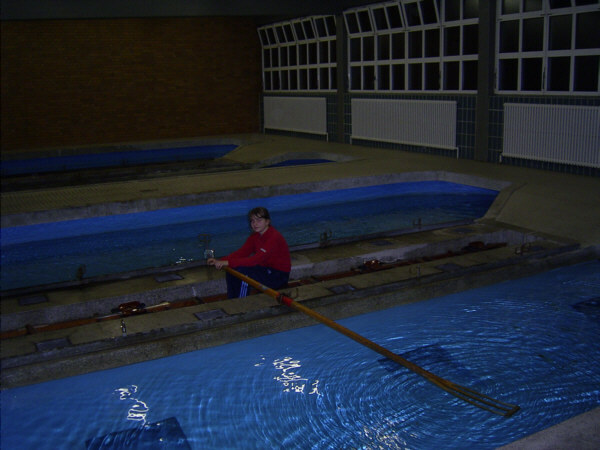 Indoor rowing “castes” are stationary row boats in an indoor pool. This is an ideal place to continue your rowing workouts when the weather is cold. 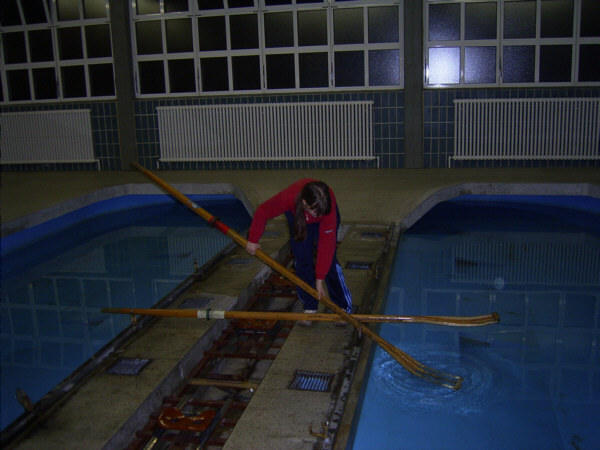 For all beginners this is a good opportunity to learn to row in winter without freezing! We meet every Thursday in winter (after the school holidays) at 17:30 p.m. at the RC KST club and go to the rowing pool. If you have a car you can come on your own directly to the rowing “caste” at 18.00 p.m. The address is Onkel-Tom-Str. 58-60, Berlin Zehlendorf. The nearest U-Bahn station is Onkel- Tom-Hütte.